Is wallpaper still “in style”? This is a popular question that I am often asked and the answer is yes! In fact, wallpaper has been the “it” thing in home decorating since the ’60s but what has changed over the years is the style of wallpaper. Wallpaper itself has always been “in style”, but the design of the wallpaper may no longer be “in style”. A major trend for 2013 is wallpaper in large prints. Large print wallpaper is bold and it makes a statement. Wallpaper in large print allows you to set the element of the room. If this is a little too daring for you or if the commitment of wall paper is too scary, try window treatments, bedding or even shower curtains that resemble wallpaper! 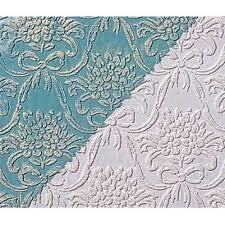 Wallpaper designs that look like fabric, wood, brick, natural stone, cement or metal are also trends for 2013. The different three-dimensional textures and images add life to any boring wall. Another wall decorating option which is very popular (and much more budget friendly) is the use of graphical decals and stickers. They are simple to put up and a cinch to remove from walls should you decide to change things up. Additionally, mirrored wallstickers are said to be the next trend to replace the use of traditional mirrors. https://redefineddesigns.com/wp-content/uploads/2012/08/wallpaper.jpg 225 225 Jenna https://redefineddesigns.com/wp-content/uploads/2019/03/Redefined-Designs-logo-revised2017-RGB-small-for-w_e68147bef04a4c12bb7de8e8de138a0e.jpg Jenna2012-08-23 14:07:442012-08-25 07:27:45Is wallpaper still "in style"? Looking for a particular topic? Search by category!